Pevsner Architectural Guides are among the most respected architecture books in the world, offering a comprehensive survey of architectural sites across the UK and Ireland. Although the series was started in 1951 by architectural historian Sir Nikolaus Pevsner (1902-83), the guides are constantly being revised and updated. Here the Pevsner team give us an update of new and forthcoming additions to the acclaimed series, which celebrates its 60th anniversary this year. 2011 brings two additions to the revised Buildings of England series, now in its sixtieth year. Cheshire, published in July 2011, has been revised by Clare Hartwell and Matthew Hyde. This architecturally rich and varied county was first surveyed in 1971, by Nikolaus Pevsner and Edward Hubbard. The new edition respects its historic boundaries, taking account of four decades of change, and drawing on plentiful new research and interpretation. The county’s settlements are explored in greater depth, from seaside resorts and Mersey ports to Pennine villages and wealthy suburbs, and special attention is paid to its many grand and diverse country houses. The cathedral city of Chester is a place of unique excitements, with its Roman plan, medieval walls and unique double-decked shopping ‘rows’. The celebrated black-andwhite timber framing features in abundance, but Cheshire is rich also in red sandstone and red brick, and boasts an impressive industrial inheritance, including ambitious mills and canal structures, salt-making towns, the famous railway borough of Crewe, and the model settlement at Port Sunlight, founded by Lord Leverhulme. Research and writing of the book was funded by the Leverhulme Trust, completing coverage of North West England in the revised series. Somerset: North and Bristol followed in December, revised by Andrew Foyle, and replacing the edition of 1958. This is one of the most rewarding areas of England for lovers of architecture; certainly no other volume in the series can boast three medieval churches of cathedral status. 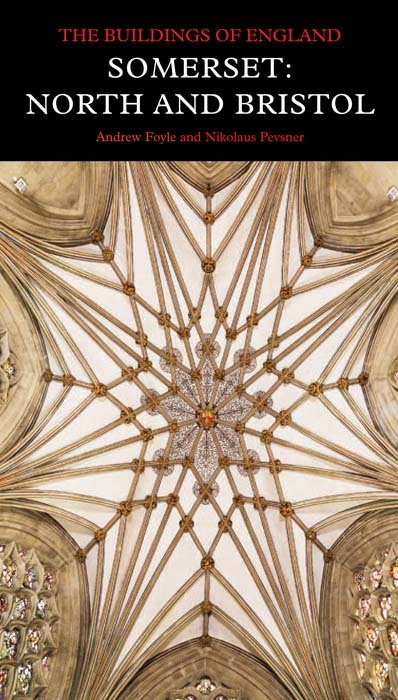 The Gothic splendours of Wells, which evoked some of Pevsner’s most lyrical writing, are here reassessed in the light of exciting new discoveries. There is a comprehensive account of the beauties of Bath, the finest spa in the kingdom, and a full survey of the city of Bristol and its expansive suburbs. These sections include descriptions adapted and updated from earlier City Guides (of 2003 and 2005), but much of the material is new. 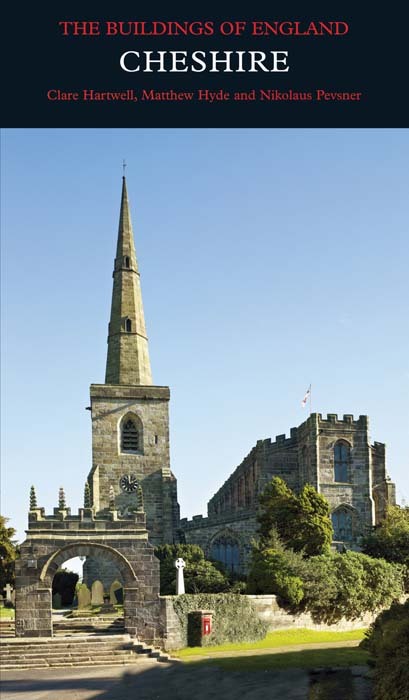 The many villages and smaller towns, famous for their magnificent late medieval church towers and beautiful building stones, receive detailed treatment, bringing to light a host of local architects and craftsmen and many generous traditions of patronage. A second volume for the county, Somerset: South and West, is in preparation. Looking ahead, Spring 2012 brings a new Buildings of Scotland volume, John Gifford’s Dundee and Angus. Dundee is Scotland’s fourth largest city, a royal burgh since the twelfth century and a port for foreign trade at the mouth of the River Tay. 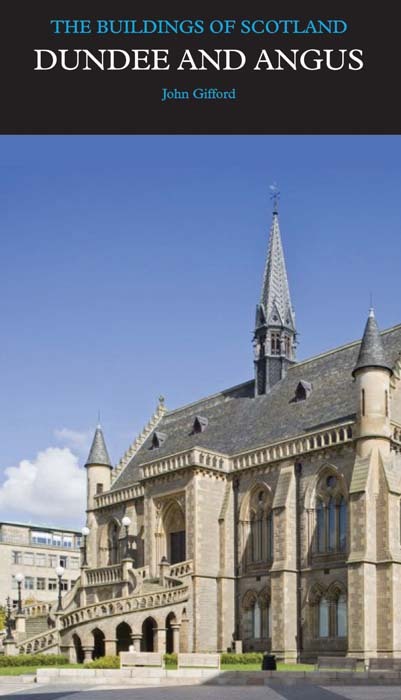 Its rapid expansion in the nineteenth century produced an unequalled concentration of major Victorian buildings, but Dundee also has much to offer to enthusiasts for architecture from the medieval period to the present day. Buildings and monuments in the county of Angus are as varied as its landscape, including Arbroath Abbey, Glamis Castle (the showiest tower house in Scotland), Georgian country houses, Greek Revival and Scottish Baronial and manorial mansion houses, and the well-mannered Georgian and Victorian buildings of the maritime and inland burghs, all described in the detailed gazetteer. Two English county volumes follow. Herefordshire, under revision by Alan Brooks, will complete coverage of the Welsh borders in the revised English series. The most consistently rural of these counties, it was surveyed by Pevsner in the twenty-fifth Buildings of England volume (1963). Physical change since that time has been modest, and architectural losses few; but a host of fresh discoveries and new insights make this the essential companion to any architectural foray. Kent: West and the Weald has been revised by John Newman, author of the original 1969 account. Many new buildings are included, as well as fuller accounts and broader selections of the historic architecture of this scenic and highly diverse region. A second revised volume for Kent is in progress, by the same author. Also appearing in 2012 in the Buildings of Scotland series is Ayrshire and Arran, by Anne Riches and Robert Close. This covers one of the most diverse and enticing parts of Scotland, with outstanding country houses, most famous among them Dumfries House and Culzean Castle, as well as numerous fine houses of the smaller estates, and burghs ranging from Ayr and Kilmarnock to the small towns and villages of the county of Robert Burns. Offshore is the romantic island of Arran – the Highlands in miniature. Revised Buildings of England volumes are in preparation for Bedfordshire, Huntingdon and Peterborough; Birmingham and the Black Country; Cambridgeshire; Cornwall; Derbyshire; Dorset; Hampshire South; Northamptonshire; Suffolk (2 vols); Sussex (2 vols); Warwickshire; and Yorkshire West Riding: South; also Powys in the Buildings of Wales series, which will join its sister volumes in the large hardback format. Buildings of Scotland volumes under way are Lanarkshire and Renfrewshire and a two-volume survey of Aberdeen, Aberdeenshire and Moray. Volumes of the Buildings of Ireland in progress include Frank Keohane’s survey of County Cork and Kevin Mulligan’s account of Cavan, Monaghan and Armagh. We are very grateful to the charities, organizations and individual donors who make our work possible. We have recently secured an important slice of essential funding from the Paul Mellon Centre for Studies in British Art and this has emboldened us to develop a plan to complete the work of revising the England series over the next ten years. This is an ambitious target, and we should be delighted to hear from you if you can help in any way. The Buildings of Scotland Trust continues to raise funds to make possible the completion of its series; if you can help, please contact Ian Riches, The National Trust for Scotland, Hermiston Quay, 5 Cultins Road, Edinburgh, EH11 4DF. For Ireland, please contact The Secretary, Buildings of Ireland Charitable Trust, c/o the Irish Architectural Archive, 45 Merrion Square, Dublin 2. 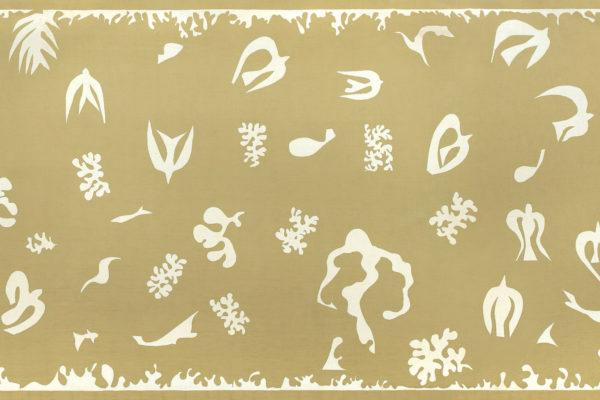 Our website provides more information about the series, work in progress and recent publications. You can order volumes directly from it, and keep up to date with special offers and other news. The educational website www.lookingatbuildings.org.uk complements it with more detailed architectural information.